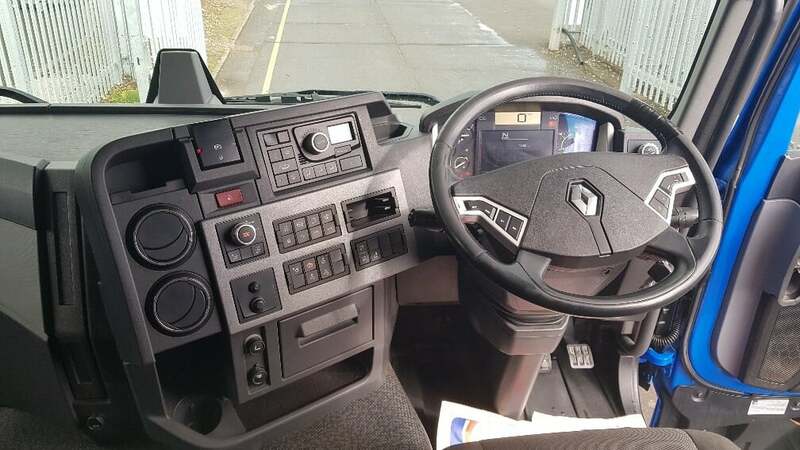 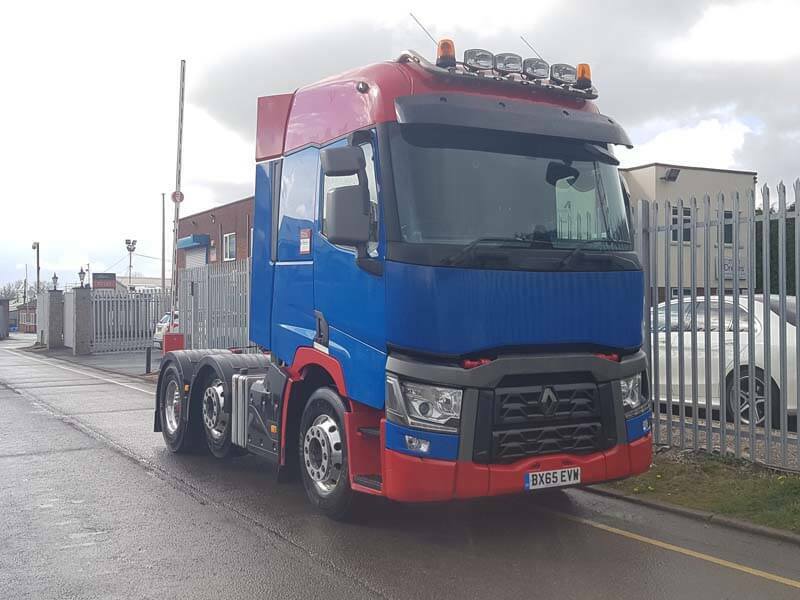 2016 RENAULT T RANGE 480. 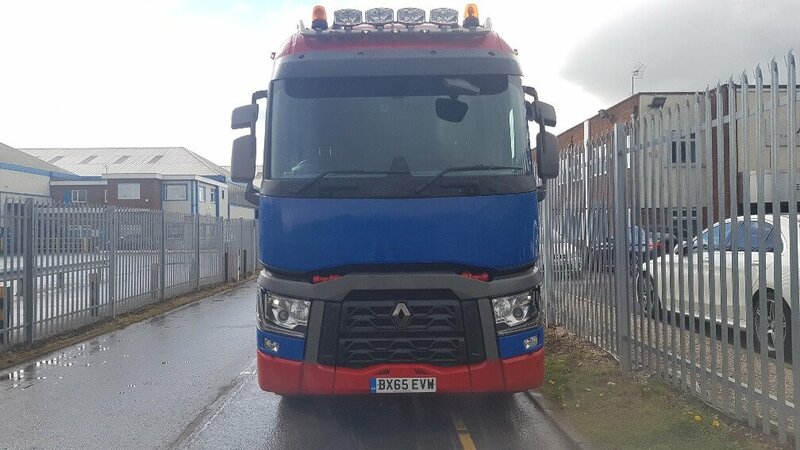 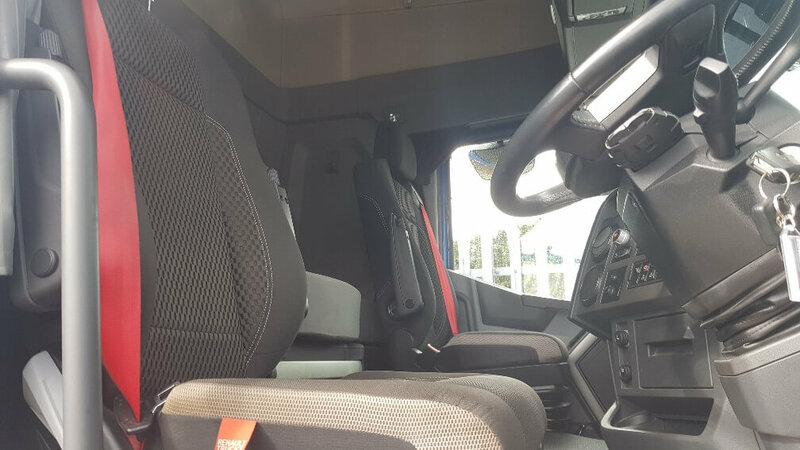 Euro6, Single sleeper cab, 320,432kms, mid lift axle, registered 11.1.2016, auto gear box. 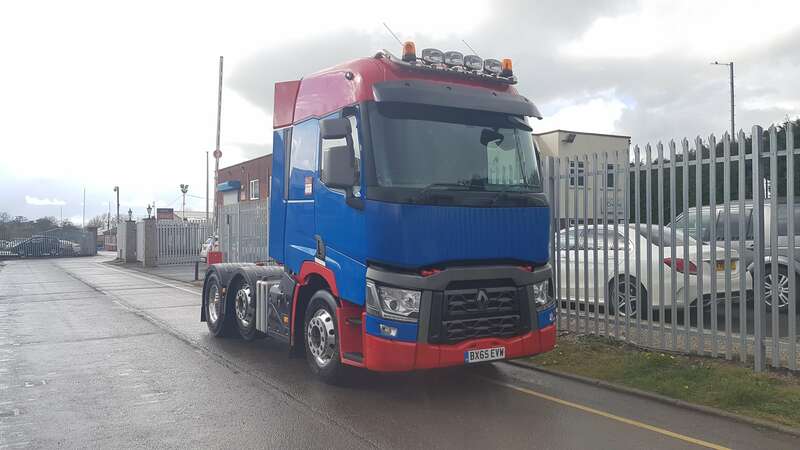 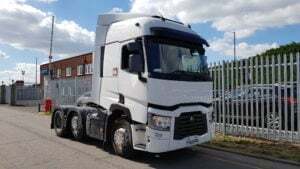 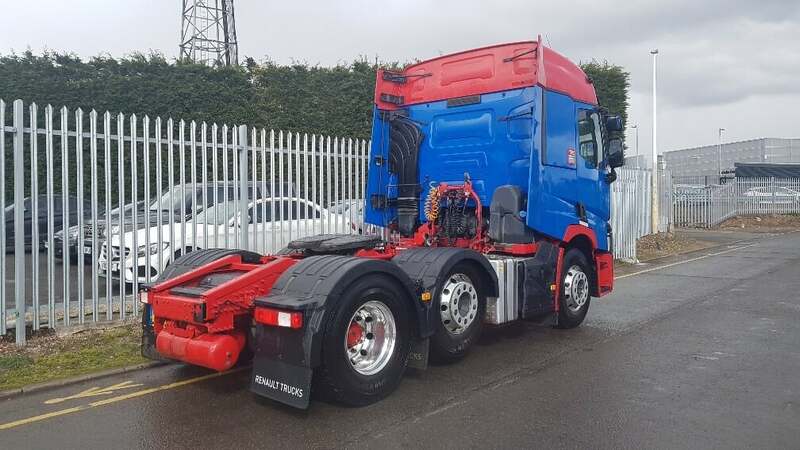 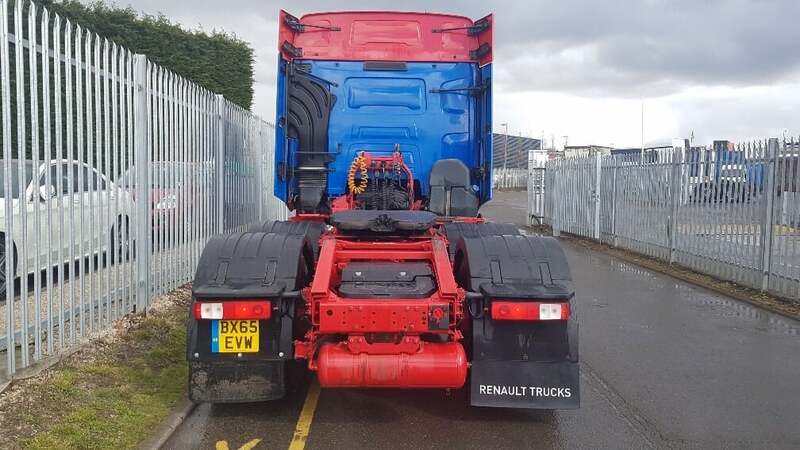 315/80r22.5 wheels and tyres on alloy wheels, top light bar, fridge, PTO system, sliding 5th wheel, MOT December 2019.